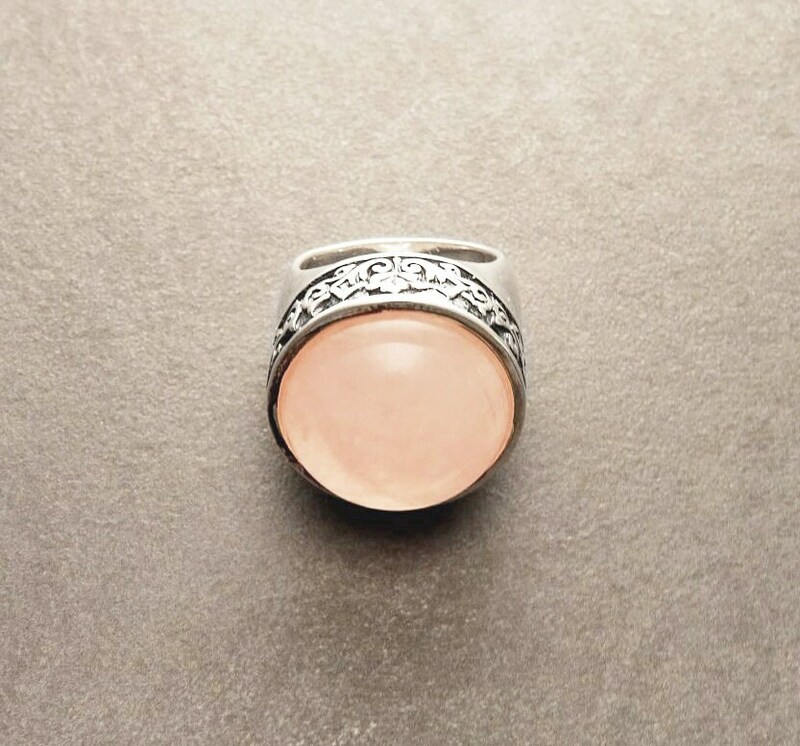 This Gorgeous Ring, features an intricate Victorian pattern around the Stone held in the center, which is a Real Rose Quartz Gemstone in a Wonderful Pink Color. A Bit of a Modern Look with a Victorian Spirit. 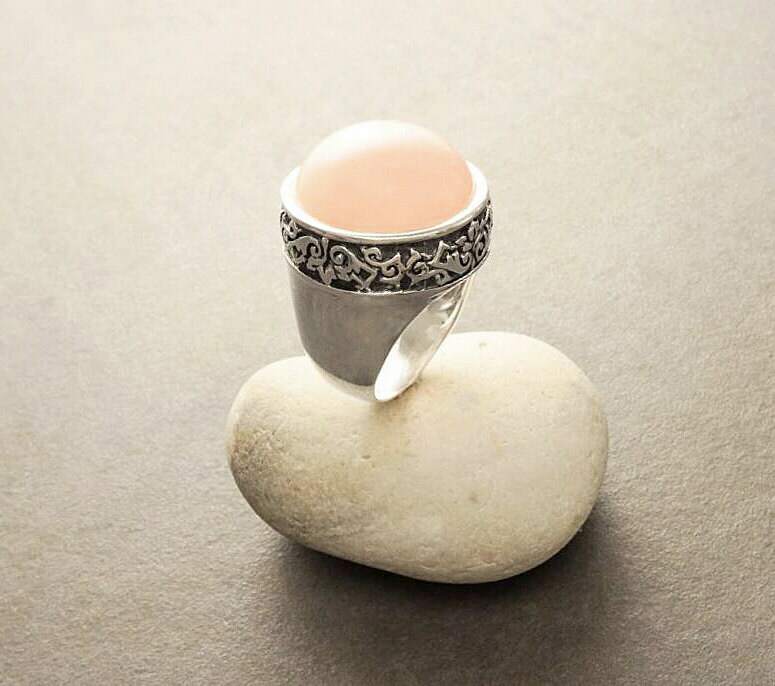 Ring features a 2.0 cm diameter Rose Quartz Cabochon. 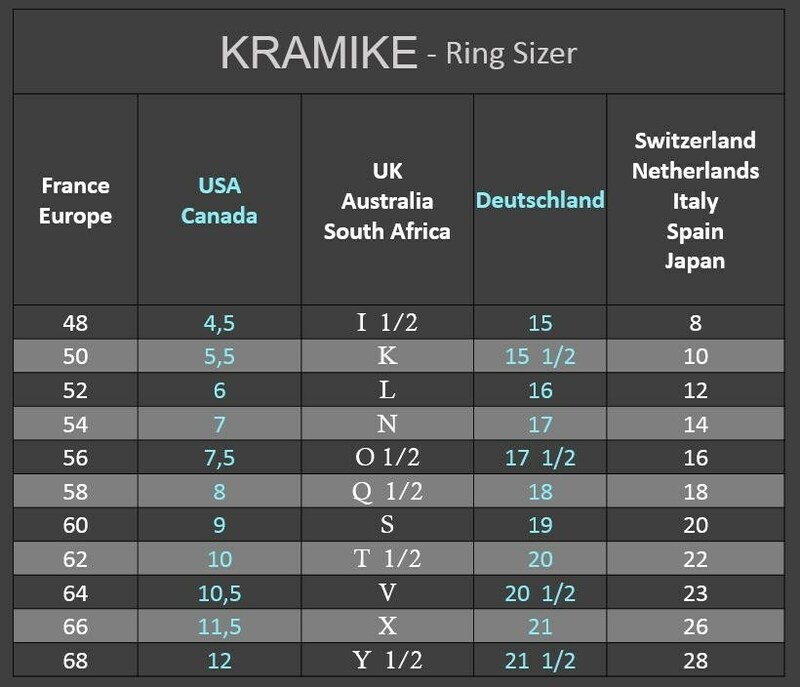 * Ring can also be done with Black Onyx Gemstone. 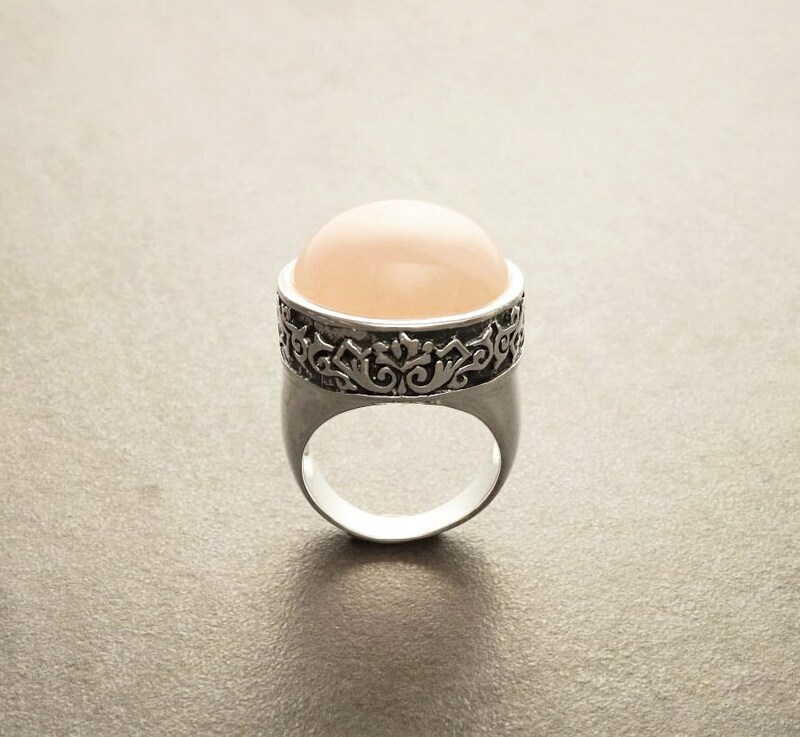 This is the most beautiful ring. 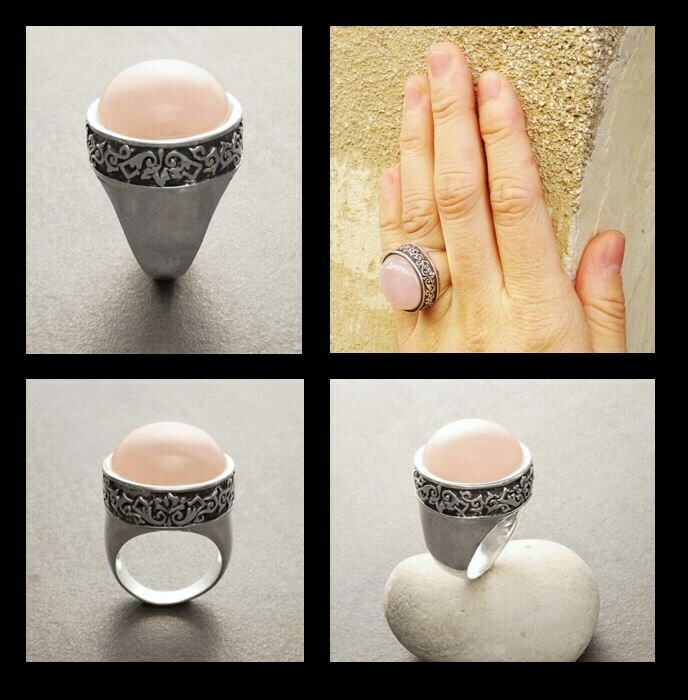 Its unique and the detail is impeccable. Could not be more pleased with this purchase.